The Cumulative Volume Index is a momentum indicator calculated by taking the volume of the advancing issues minus the volume of the declining issues. 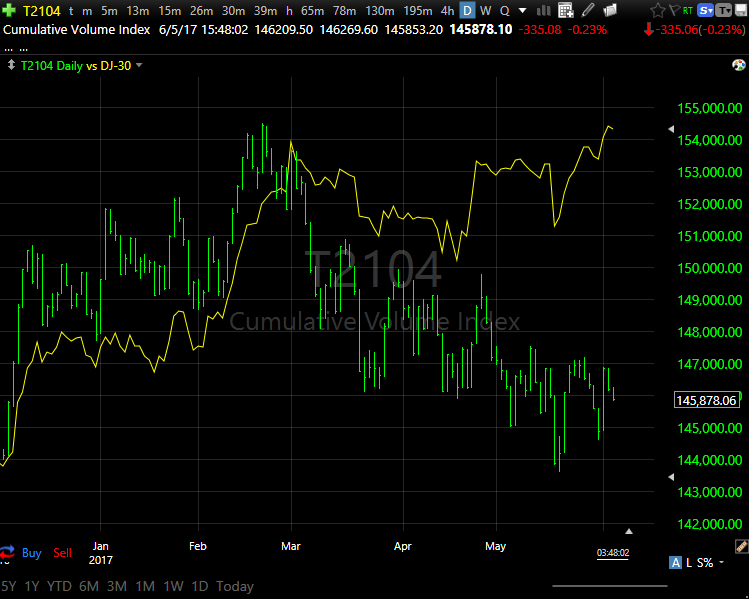 This cumulative indicator is interpreted the same way the Advance/Decline Line is interpreted. If it begins to trend down while the averages are trending up, it is a bearish sign. If it begins to trend up while the averages are trending down, it is a bullish sign.